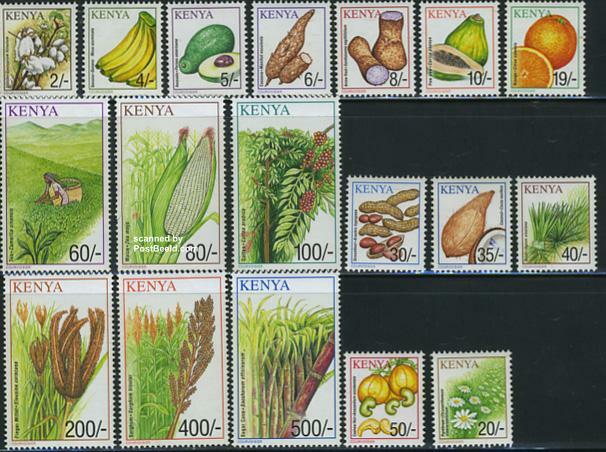 eD@HoMe: Another awesome cover from Kenya! 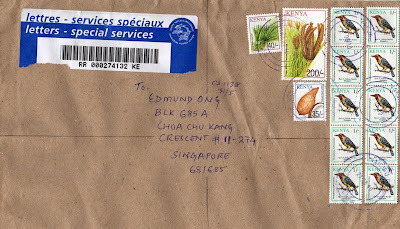 Sharing with you today is an awesome registered cover received from Kenya! 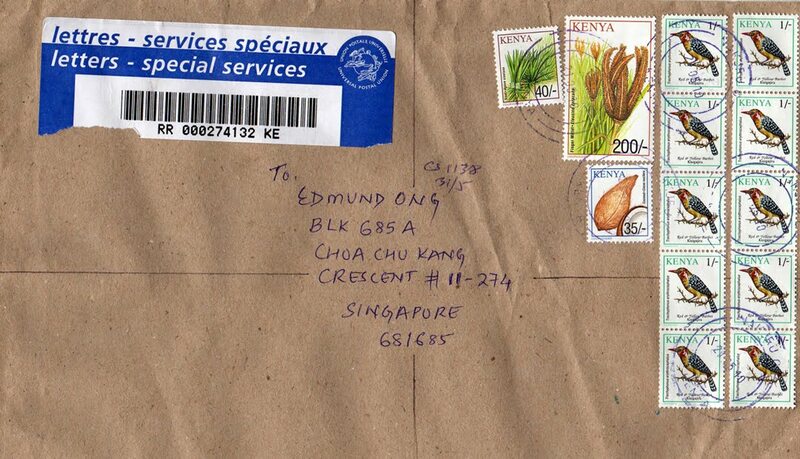 Courtesy of Bhavin R.Gada! Thank you very much!! The 2 vertical row of stamps franked on the extreme right belong to the "7th Bird Definitive", issued in 1993. 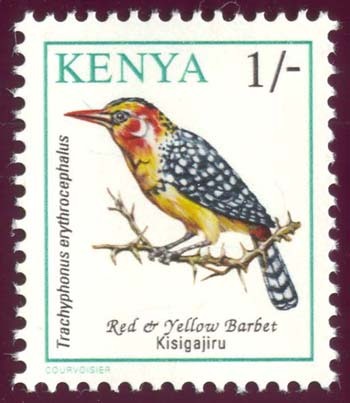 The stamps depict the Red-and-yellow Barbet. 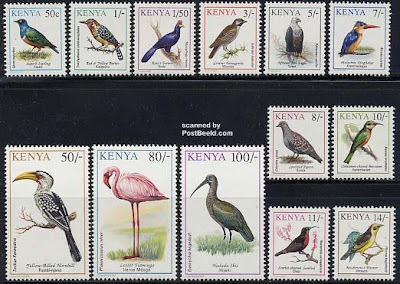 This bird usually lives in groups that include one breeding pair, several young "helpers", and sometimes one or two other adults. Red-and-yellow Barbets can be very aggressive, notably when defending their territories from other groups of barbets or woodpeckers. They are also known to mob hawks or other predators to chase them out of the territory. They are often seen around termite mounds. The other stamps on the cover are from the "8th Crop Definitive", issued on 28th Feb 2001. 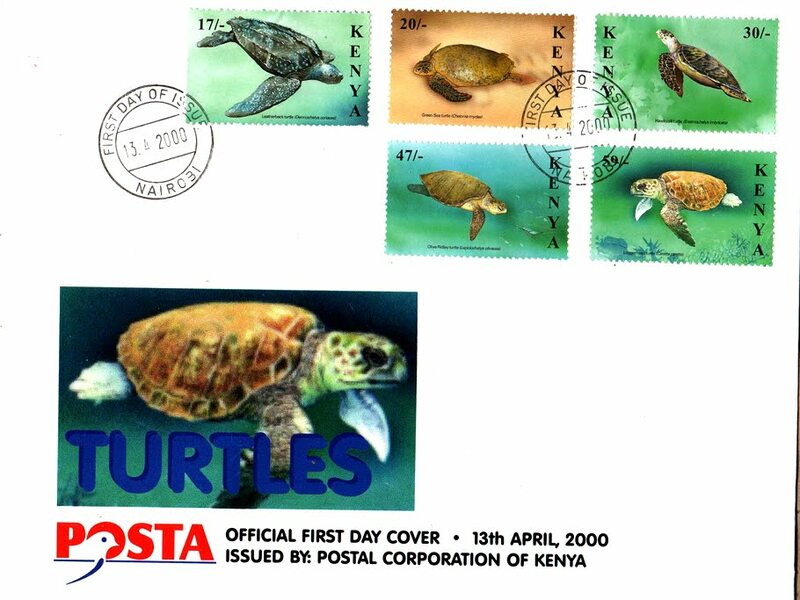 In additional, Bhavin also sent me a gorgeous Turtles FDC, issued on 13th April 2000! Thank you once again!